On the island of Islay lies Loch Finlaggan, a place of great importance in Scottish history. In the Loch there are three islands, two of which are Eilean Mor (large island) and Eileen na Comhairle (council isle) where the installation of the Macdonald Lords of the Isles took place. The chiefs of Clan Donald, chose Finlaggan as their home and the centre of their lordship, so that Islay is often referred to as the Cradle of Clan Donald. The Lords of the Isles ruled the islands and part of the west coast of Scotland during the 13th to 15th centuries, virtually independent of royal control, until 1493 when the lordship of the Isles fell to James IV of Scotland. The heir to a strong Gaelic and Norse tradition, the Lord of the Isles "Righ Innse Gall" was one of the most powerful figures in the country with the small islands in Loch Finlaggan a centre of symbolic and historical imprtance. Today a charitable organisation named "The Finlaggan Trust" maintains the site. Nose: Sweet peat smoke. Medicinal notes. 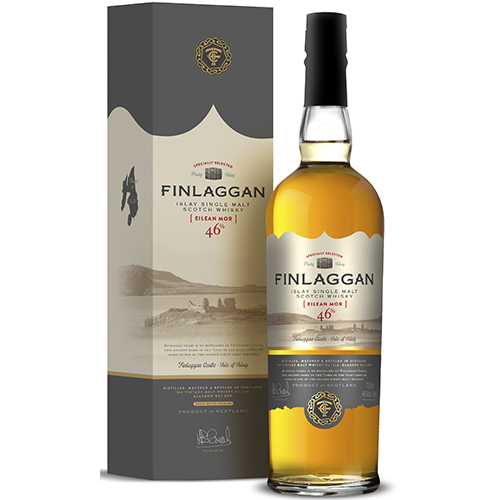 Touch of the sea salt Palate: Full bodied with spicy peat smoke. Tar and iodine. Light oiliness and sweet malt. Wonderfully mouth filling. Finish: Smoke embers. Long and dying slightly.